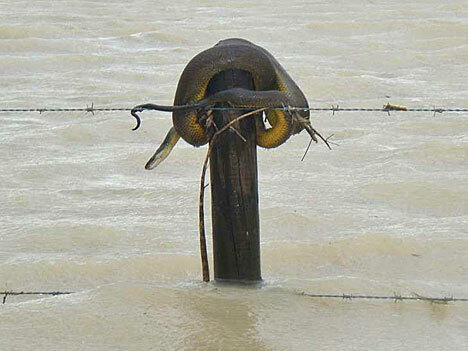 There is currently severe flooding in Queensland Australia. An area twice the size of Texas is underwater. Entire homes are completely inundated. Bridges and cars have been washed away like toys. In Brisbane, airports are closed and the CBD has been closed down. There are at least 15 dead and more than 60 still missing. QLDfloods.org is a Drupal 7 website set up by several members of the Australian Drupal community to provide information, track missing persons, find resources and people that need them (like beds), track damage and provide support. It was mentioned four times on CNN on Wednesday and multiple times on Australian national media. The site builders are seeking help with Drupal 7 multiple-server configuration & infrastructure. Do you have expertise to help? Join #Drupal-AU on IRC, speak up in g.d.o/australia or contact Ryan Cross directly. 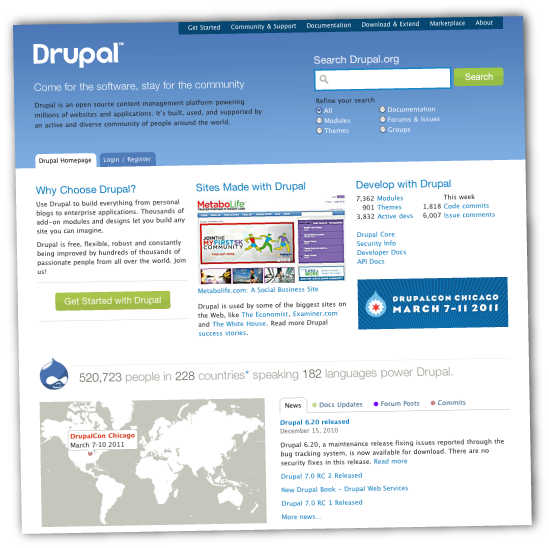 Drupal.org has a new look and feel. If you have not seen it (have you been under a rock!?) go check out Drupal.org right now! It took a few years and many iterations and volunteers, and even that was not enough. This year the Drupal Association came to the party with funding to finish the job. Contracts went to tender and were won by Neil Drumm, Achieve Internet and 3281d Consulting. Thank you to everyone who contributed to the Drupal.org redesign for all your hard work and effort to pull this off. And especially thank you to the Drupal Association for funding the last several miles that could not be covered by volunteers alone. 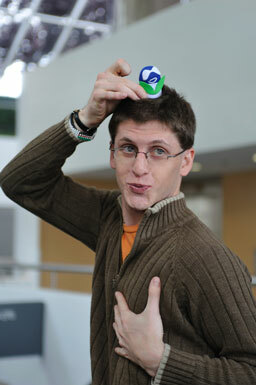 Drupal.org will never be the same again! Find out what is next for Drupal.org. How could we ever forget? 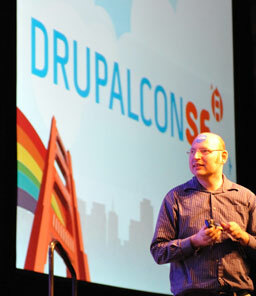 DrupalCon San Francisco, was epic. By all measures, it was the largest and most spectacular Drupal event yet. The Drupal Association bootstrapped the funding and locked in critical contracts in order to secure the venue and other services. Many of the DrupalCon San Francisco committee members also serve the Drupal Association. The Drupal Association managed all the finances for the event and coordinated the local team and service providers with the rest of the Drupal community. And that is just the beginning of what the Drupal Association did to make DrupalCon San Francisco a reality! The Drupal Association recognized the urgency to update Drupal.org's version control system (currently CVS). Drupal has an active, amazingly awesome and amiable community. One of the reasons for this, is that Drupal.org is our home. It has everything Drupal developers need, all in one place. However the last couple of years has seen a trend for contributions to be distributed elsewhere. The Drupal Association realised that if Drupal.org did not offer modern version control and code-distribution tools, then Drupal.org would cease to be a central repository for contributed Drupal code. And that would ultimately be damaging to the community and the project. So earlier this year, the Drupal Association hired Sam Boyer to work on detailed planning and foundation work in preparation for the migration of Drupal's gigantic CVS repository, including about 9000 contributed themes modules and other projects, to Git. This work is underway and is making good progress, but has some way to go yet. Sam is leading the effort but the success of the project is highly dependent on volunteer effort too. You can get involved on g.d.o.